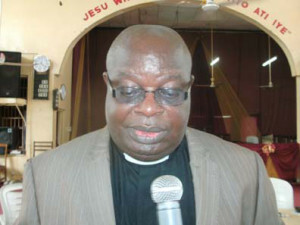 Christ Apostolic Church (CAC), situated at Adamasingba, in Ibadan, the Oyo State capital, was, on Tuesday, thrown into confusion due to the sudden death of the District Co-ordinating Council (DCC) Superintendent ‎of the Church and the Chairman of the Oyo State Chapter of Christian Association of Nigeria (CAN), Pastor Ayo Olabisi. Though, the information about the deceased was still sketchy as at the time of filing in this report, a source closed to the church disclosed that the late man of God was about 70 years old. It was wailing uncontrollably at the church, when the news was broken with some of the members expressing disbelief. Olabisi, who was serving his second term as the state chairman of CAN was re-elected early this year at an election held at the state secretariat of the association in Ijokodo, Ibadan. ‎Olabisi is survived by a wife and children.